Choose Yamaha for the ultimate thrill-ride. Rev your heart with a Yamaha. From riding the waves to racing the track, trust a Yamaha to take you on the exhilirating adventure you've been dreaming of. 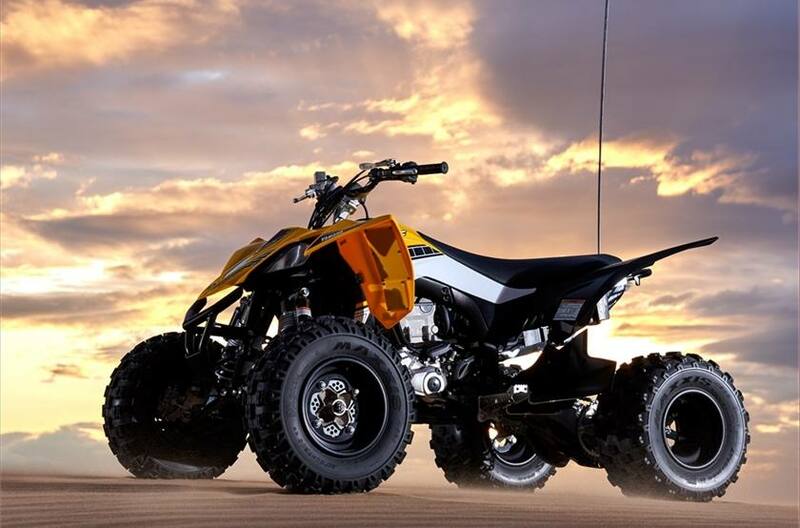 Interlakes Sport Center LLC carries a complete line of Yamaha vehicles to fit your wildest powersports passions in any season, including Personal Watercrafts, ATVs, Side by Sides, Motorcycles, and more. By your side, on every ride, Yamaha SXSs are built to help you dominate your outdoors, in work and play. From hauling lumber on a job site to treking up a rocky mountain trail, choose a Yamaha Side by Side for complete dependability and versatility outdoors. Be the leader of the pack with a Yamaha Wolverine. Sporting aggressive color schemes and superior features, like a High-Torque 700-Class Engine, a Yamaha Wolverine is ready to tackle the harshest outdoor environments.